An ever-growing number of communities are choosing to live unplugged. Outside The System. 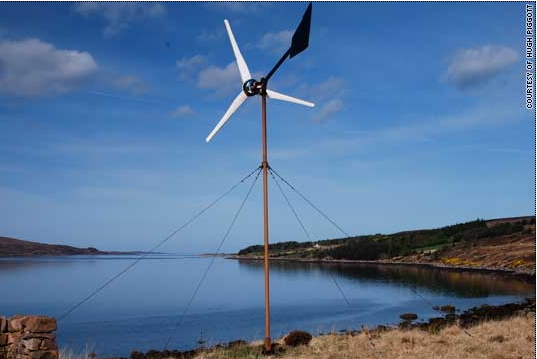 It could hold a solution to some of the planet’s worst environmental woes. If everyone unplugs, then who needs those bickering politicians at the Climate Change Conference in Copenhagen, right? And on our newly acquired land, where electricity and drinking water are not even available yet we might as well invest in generating green energy instead of a connection to the grid, right? How difficult can it be? TV producer and editor of http://www.off-grid.net/ Nick Rosen answers that question in an interview with CNN today: “Things require more care and planning, but it’s pretty easy, it’s not like we’re putting on a hair shirt to live that way” and he continues to explain that life can be “as comfortable as on the grid but at a fraction of the cost.” And Hugh Piggott, a world authority on wind power, living unplugged in Scotland reports “We have the same sort of facilities as everybody else — televisions, computers, fridges and washing machines. The difference is that we’re doing it with renewable energy rather than connecting to the national grid.” Well, if it can be done in Scotland, how much easier must it be in warm and sunny southwestern Portugal! Landscape gardener Robert Kite, who moved from London to Cadiz to set up an off-grid home with his partner Flavia states it as a mission: “I see people who live off-grid as the foot soldiers of the environmental revolution, the early adopters of what we will all have to do in the very near future.” So what are you waiting for? Come and join the Legion of Osho’s Gardeneers*, the green revolution is waiting for you in Saboia, Portugal. The New Man, as Osho explains, can live in a new world by ‘unplugging’ from the old. By consciously liberating himself of old and outdated beliefs, ways and means. But now we’re entering the realm of consciousness: Getting Outside The System by getting it out of your system! I noticed three different kinds of mushrooms on my walks through Osho’s Garden, some orange and red and these white ones. Mushrooms, as I was told in school grow on wood and moisture, some are edible and others poisonous and that’s about all I knew until recently. They are not plants and have no roots, they grow out of Mycelium, the threadlike white stuff that reproduces them under the ground and absorbs nutrients. It’s almost too good to be true what they say about it. The digestive power of Mycelium can decompose pollution and toxic wastes and turn them into healthy soil. It can control erosion, insect populations and viruses, it can create biofuel, in one word it can rescue the planet, according to Paul Stamets, who wrote some famous books and gave an enlightening presentation, you can watch the video on TED.com. He is called a visionary by fellow mycologists and botanists. He also said that growing gourmet and medicinal mushrooms can help the biodynamics of permaculture soar to extraordinary levels of productivity. So it appears to be a win-win situation. And since we have forested areas in Osho’s Garden why not save the world by growing some Shiitake under the cork oaks, just to name one popular variety, and make our own Kombucha tea. If anyone of you wants to take it up, our Mycoculture project is now looking for a manager! 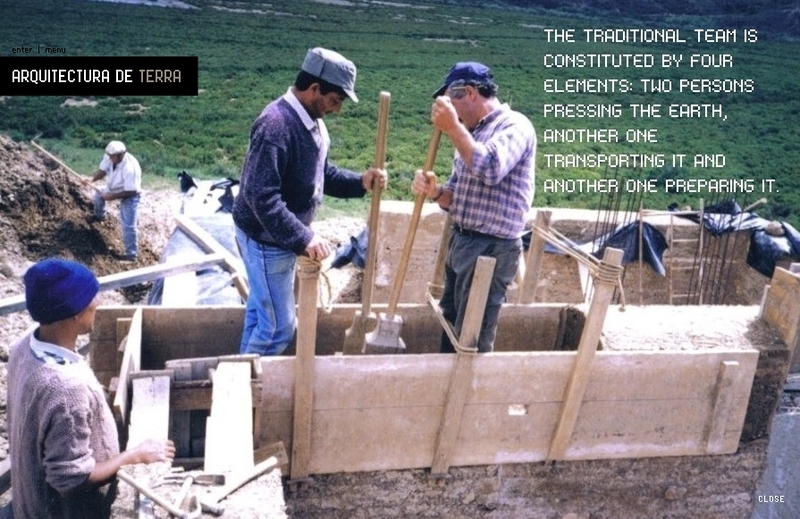 One of the oldest building techniques on earth is using rammed earth. Many consider it to be primitive but it is becoming modern again. Taipa, as it is called in Portugal, has all the advantages one would like to see in a superior building material: High insulation factor, maintenance free, durable (portions of the great wall of China were made like this – 5000 years ago! ), fireproof, soundproof, earthquake proof, hurricane proof, pest proof, moisture balancing, environmentally friendly, and low cost. It is freely available locally without the need for transportation and after abandonment for whatever reason it can be turned back into the earth without leaving a trace of pollution. Not only is this the most Eco-friendly way to build, it is also fast and simple and fun to do. Today our architect, who started reviving this old and abandoned technique 25 years ago in this area showed me his beautiful and romantic house that he built himself with just a few helpers. After hearing of our plans he offered to teach us how to build our meditation center and whatever else we need ourselves, by using just the earth of our own land plus some locally produced wood and tiles and a minimum amount of other materials. 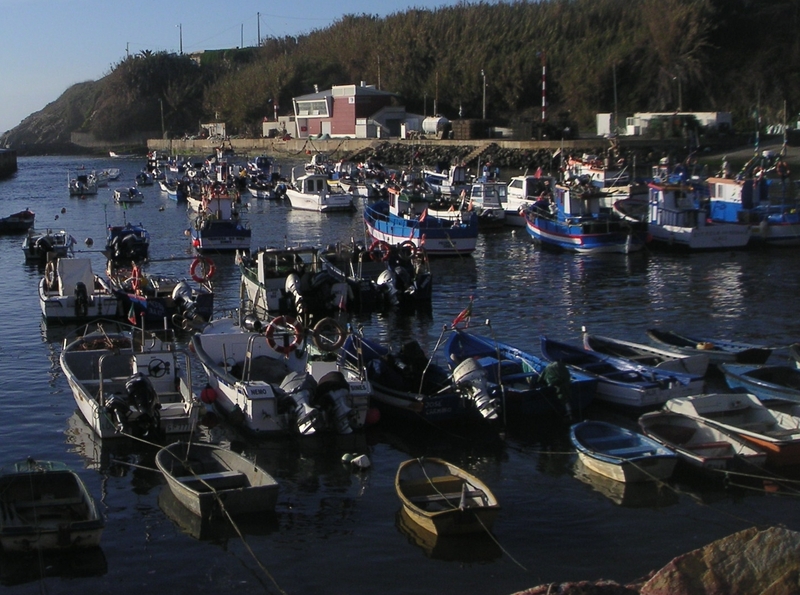 Vila Nova de Milfontes, the beach resort at the mouth of the Mira estuary is crowded in summer but off-season, even though I enjoyed the walk around the small boat harbor, there appears to be less reason to go there. Unless of course you have made acquaintance with some charming ladies that have suddenly become very important in your life. I am referring to our advocada (lawyer) and contabilista (accountant). The first is already working overtime to get our documents ready, the second will jump in as soon as our activities need reporting. And as an old sailor has lady friends in every harbor, I am also deeply involved with two other significant girls in the city of Odemira, though again strictly professionally: Our agente (real estate agent) and the Notário (Notary). Portugal seems to be a country where the girls have really gotten into the game! The small town of Sabóia (pop. 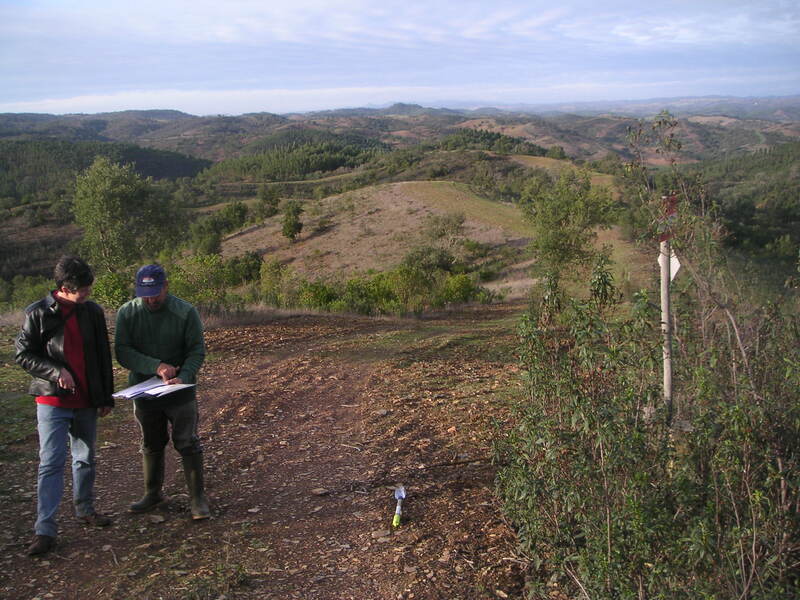 1344) on the south side of the Rio Mira is one of the oldest in the lower Alentejo region of Portugal. It is already mentioned in the charter of March 28, 1256, when King Afonso III, the fifth king of Portugal granted the inhabitants logging and forestry rights. Forestry, especially cork is still the main source of income here. The parish (freguesia) as Sabóia is nowadays called covers an area of 156 square kilometers. Traveling to the west along the meandering river leads into the equally old city of Odemira. Here the Mira widens into an estuary that meets the Atlantic ocean at the resort town Vila Nova de Milfontes. But long before that, still in the Sabóia area a dirt road south follows a tributary of the Mira into the hills. Houses here can count on the fingers of one hand, and where civilization finally ends and it’s best to have a 4WD to continue, you are about to enter the valley where Osho’s new (and edible) garden will be planted. Where Basho’s new pond will be visited by frogs, swans, ducks and meditators. Where we will build our Meditation Center and EcoLodge in harmony with nature, using green energy generated from the abundantly available solar power. If all goes according to plan we will be able to start in two months time, February 5th, 2010. Volunteer workers are welcome (wwoof arrangement) but do contact us by e-mail in advance. 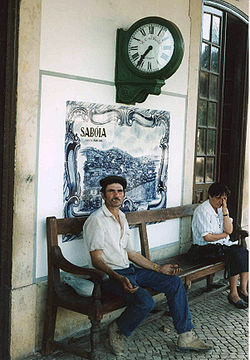 We can meet you at the Santa Clara Sabóia train station. If you are coming from Lisbon, change trains at Funcheira. If you travel by air to Faro, try to get an early flight, as the last train that stops in Santa Clara Sabóia leaves Faro at 17:30. For outbound travel, don’t book a flight before 11:00 as the first train from Sabóia arrives 8:34 in Faro, so you can be at the airport around 9:00 at the earliest. Faro train station is 5 km from the airport by taxi. Honey bee populations are disappearing at an alarming rate according to helpthehoneybees.com. We can save some bees by providing them a better habitat than monoculture land poisoned by pesticides (and mobile phone base stations). 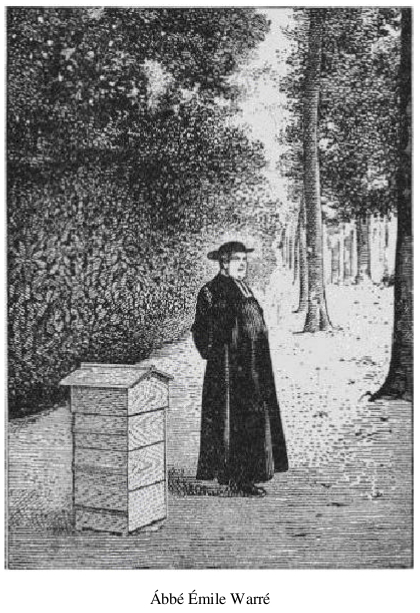 Natural beekeeping pioneer Abbé Émile Warré, apparently more worried about human souls than bee colonies, offered another reason to keep them: “Beekeeping is a moral activity, as far as it keeps one away from cafés and low places”. Apart from keeping you off the streets the abbot had some more advice for modern man: “The body needs exercise without which it atrophies. The mind needs exercising too, otherwise it deteriorates. Working on the land is best suited to the needs of human beings. There, both mind and body play their part.” While appreciating the moral advice we are even more delighted with his simple and bee-friendly hive design in his famous book “Beekeeping for all” (available as a free download). Bees are needed for pollination and on organic farms they produce excellent honey, a healthy sweetener with medicinal properties. If you have experience with sustainable beekeeping and want to join an Osho community, consider to come over (2010, springtime) and help us get our Apiculture project buzzing.